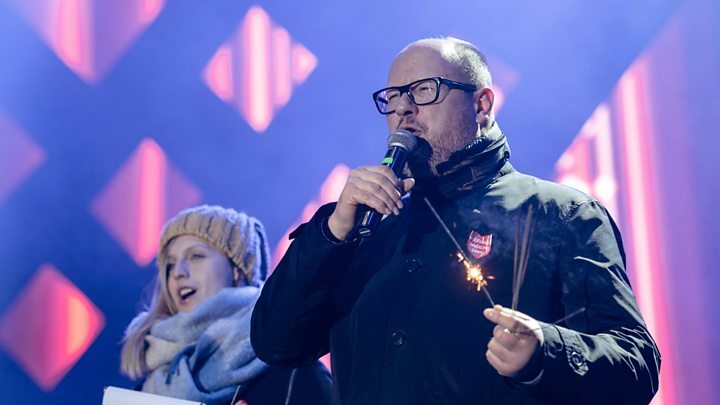 Poland’s health minister on Monday confirmed Mr Adamowicz had died. “We couldn’t win,” Lukasz Szumowski told local media, referring to the battle to save his life. President Andrzej Duda described the attack as an “evil hard to imagine”. He said the day of the politician’s funeral would be observed as a day of national mourning. The mayor was stabbed on Sunday while attending the Great Orchestra of Christmas charity – an annual event where volunteers raise money for medical equipment in hospitals. Moments before he was attack, he posted a picture from the stage on Instagram. Prime Minister Mateusz Morawiecki described is death as a “huge tragedy” for Poland. President Duda said he originally planned to organise a march against violence with other politicians in response to the attack, but that on Monday he changed his mind to respect the wishes of the mayor’s family. “Together we came to the conclusion that marches organised by the authorities are not needed in the present situation,” he said. Previous articleWill Thomas Gibson’s Hotch Return For The Criminal Minds Finale?